REDUCED!! Celebrate the essence of high-style, high-rise living in this beautiful 841 sq/ft 1 bd condo in the Veer Towers at City Center. Open floor plan w/ floor to ceiling windows, stainless steel appliances, European style cabinetry and designer flooring. 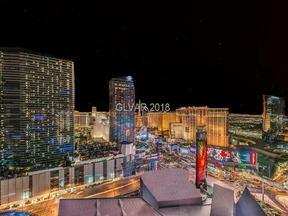 Unequaled views of Las Vegas atop each tower, amenities floor features a roof-top infinity-edge pool, hot tub, sun deck and bar for outdoor entertaining and a recreation room.